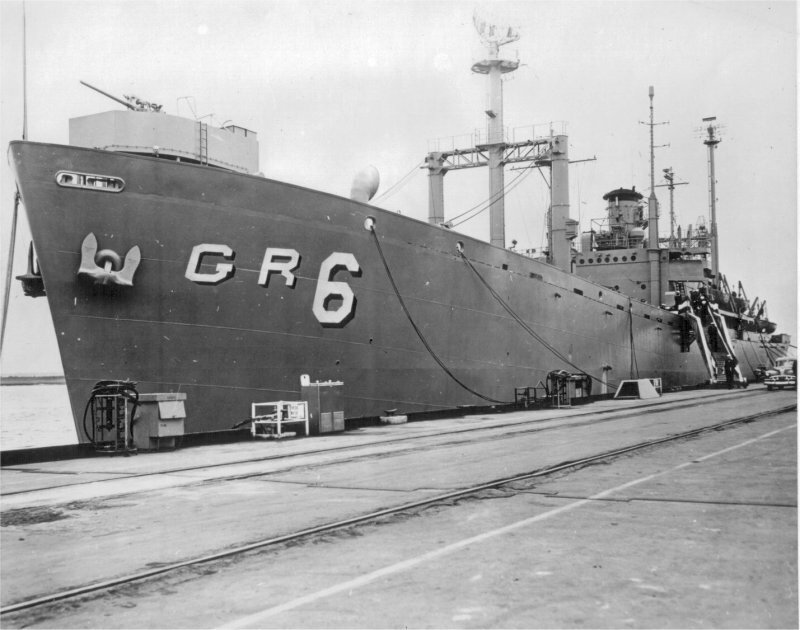 Laid down, 9 February 1945, as SS Frank O. Peterson, a Maritime Commission type (Z-EC2-S-C5) hull, under Maritime Commission contract (MCE hull 2347), at J. A. Jones Construction Co. Inc., Panama City, FL. 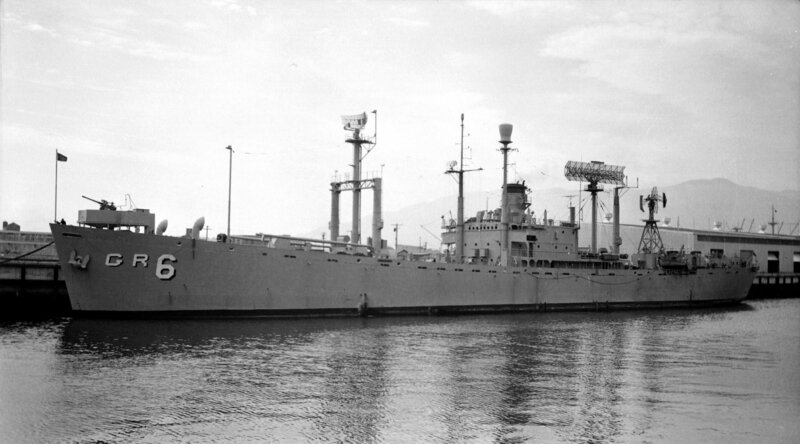 Acquired by the US Navy, 10 June 1955, for conversion to a Radar Picket Ship at Charleston Naval Shipyard, Charleston, S.C. 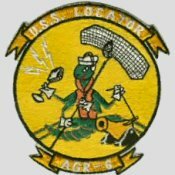 Transferred to the Maritime Commission for lay up in the National Defense Reserve Fleet, Hudson River, N.Y.
51k USS Locator (AGR-6) under way, date and location unknown. 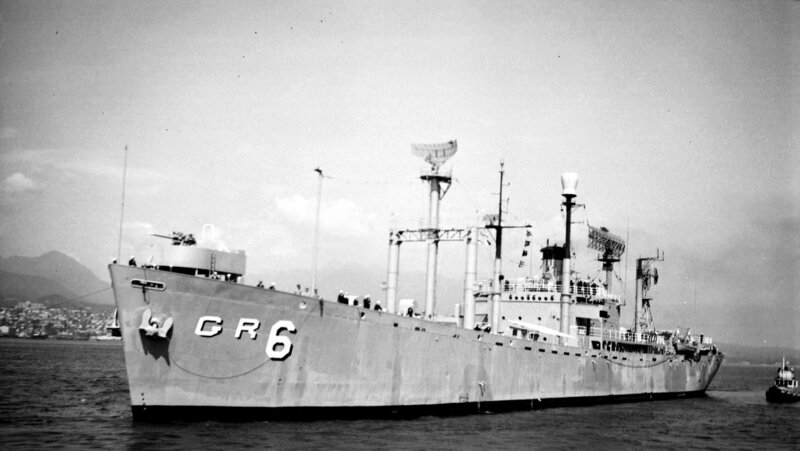 216k USS Locator (AGR-6) moor pierside at Vancouver BC, 12 July 1960. 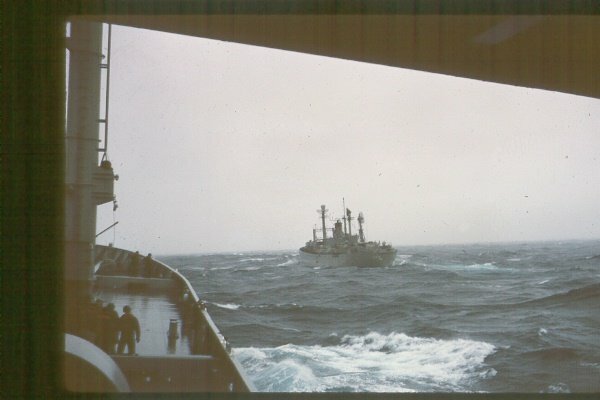 194k USS Locator (AGR-6) preparing to moor pierside at Vancouver BC, 5 August 1964.